In the last post, we saw my latest project: a somewhat fancy box to house the new Rev E. Aikido noval line-stage amplifier. This prompted a reader, Raj, to ask which was better PCB or point-to-point wiring, in terms of sonic performance? An interesting question. I can think of many reasons why each should easily prove the best, so that most hated of answers must be given: it depends. Here is an example; decades ago, a buddy of mine complained that every audio project he had undertaken, and there had been many, had turned out dismally. I offered a solution, telling him that he should just piggyback on my next project—entirely, as I would just buy twice as many parts than I needed. He was up for the challenge. Armed with schematic and parts, we set about building the same circuit. I made my own PCB and he used point-to-point wiring. I first laid out the part placement on graph paper; then I used a fat sewing needle to puncture the graph paper everywhere a solder pad was needed. The next step was to prep the PCB, which began with a through wash with solvent, followed by sanding with ultra-fine sandpaper from Japan. Once the PCB took on a polished salmon color, I taped the PCB to the graph paper and I used a marker with water-soluble ink to mark where each solder pad needed to appear. After freeing the PCB from the paper, I set about placing all the rub-on solder pad shapes to the PCB's copper side. Then the traces, which were either rub-on strips or thin tape. The last step was to etch the PCB, thoroughly wash it afterwards and remove all the sticky tape and rub-on material, before drilling the holes. The day arrived when we held our sonic shootout. Once again, he lost. As I saw it, he should have won, as his effort was not a splash-dash rush job, but a supremely well-thought-out design in three dimensions, where each solder joint's location achieved the shortest spacing between parts. Most point-to-point wiring is closer to a two-dimensional affair. Not his build, as the Z axis was equal to the X and Y. His completed circuit would have been a snake-pit to modify or to repair, but it was beautiful to behold. So, why didn't it sing as well as it should have? All the parts and all the voltages were the same between our units. Yet, there had to be a meaningful difference. I broke out my ten-power jeweler's eyepiece and examined each solder joint. Here, I found a difference, as his solder joints were neither as smooth nor as shiny as mine. We had used the same solder (copper-enriched lead solder, SaveBits brand), so wondered if his soldering iron was not hot enough to get a good flow. I re-soldered one of his joints, but it didn't look that much better afterwards. As I looked carefully at our two builds, I noticed another difference: all the part leads on my build were bright and shiny, while most of the leads on his build were dull and gray. Bingo. Well, at least I thought I had found the problem. Before soldering a part in, I carefully scraped away the oxidized outer surface of its leads. The result was that my solder joints wicked further along the lead and the joint looked more like a drop of mercury, whereas his joints looked more like little crunchy metal meteors had collided on to the leads. Now, I wouldn't bet my life on this being the conclusive deference, but I would bet a few hundred dollars. At the same time, I am willing to be convinced that he had somehow created some unwanted capacitive coupling between critical parts or had introduced some unintended inductance with long jumper wires. Yet, the scope showed no ringing or oscillations. Indeed, both units measured identically; his effort just sounded less refined and less high-end. Since that day, I have been extra diligent in cleaning the part leads and the solder tip. Conclusion, cleanliness is not only next to godliness, it's next to absoluteness. Both PCB and point-to-point wiring can be art forms, but an artistically laid out point-to-point wiring assembly can dazzle, as it can exemplify an intelligent, artistic design, much like a show car's sumptuous engine compartment, where all the ignition flow along parallel paths and meet in tight bundles and where nothing sticks out or seems haphazardly placed. At its best, in fact, point-to-point wiring looks organic, as in muscled and sinewy and branching, as if the parts and wire wanted to become a living organism. At the same time, many point-to-point wiring jobs look as if they were made in the late 1960s, when drug use was at its highest. One huge problem we face from the start is the chassis is tight and quickly fills with parts. Moreover, we seem to be faced with a choice: a neatly arrayed outside or a neatly point-to-point wired interior, but not both. There is, however, a third path and John Atwood showed me the way. John had acquired an excellent array of sheet-metal fabrication tools, such as a shear and brake and drill press and punches. With these tools, John could make just about anything he needed. One day, he showed me a thick flat panel of aluminum that held many holes, holes that would be filled with tube sockets and screws that would affix solder posts. This sub-assembly would then be positioned within a larger enclosure. Brilliant! The sub-assembly was much like a PCB for point-to-point wiring, as all parts could easily be arrayed in consistent and neat configurations and the this sub-assembly could be built and tested outside the enclosure. An added bonus was that the sub assembly could be shock-mounted with the larger chassis. Tubes are microphonic and keeping power transformer vibration isolated from them can only help them sound better. Metal-supply stores and sheet-metal fabrication shops sell sheet aluminum in various thickness. I would avoid anything less than 1/10th of an inch thick. For not that much money, you can have a rectangular panel cut and seamed, so no sharp edges are left. Since aluminum is so soft, you can easily drill it yourself with power drill. I recommend using a drawing program to lay out the many hole positions, so a paper template can be used as hole guide. If two identical panels are needed, I would try clamping both together and drilling through both at once. Before making the large holes for the tube sockets, I would use the pre-drilled panel as a template for the larger enclosure, as the tubes will have to be in good alignment to the outside chassis, if they are to protrude nicely from holes in the chassis; in addition, the mounting holes for the panel must align perfectly with the outer enclosure's holes. We can use springs to shock-mount the sub-assembly. I recommend the trick used by turntable manufacturers of placing some foam rubber or real, organic sponge material inside the springs to dampen them. Ideally, we should strive to achieve a critically damped spring mechanism that quickly settles after being tapped. Since one of the great benefits of tube gear is tube rolling, the plugging in of different tube brands and, sometimes, different tube types in the search for the optimal sound. The danger with the sub-assembly is that the tube might cling too tightly to its socket, which could bring the sub panel crashing up into the chassis. The workaround is to place plastic spacer around each mounting screw. This spacer can be glued in place. If the sub panel is truly large, at least two of its edges should be bent, to add rigidity; the bends will also work-harden the metal at the bend. By the way, there is no reason why PCBs cannot be used with the sub-assembly, the PCB being just another part that must be secured. A reader from the Netherlands, Max, asked if a single 6C33C could not be used in a single-ended OTL configuration. He didn't expect big watts, just sweet sound. Well, if we are not too greedy, why not? Effectively, we just make a large power cathode follower, but rather than use a cathode resistor, we opt for a constant-current source. The constant-current source auto-biases the 6C33 and the coupling capacitor protects the loudspeaker from the 20V to 22Vdc at the cathode. The triode dissipates 50W at idle, which would seem to imply 12.5W, as a constant-current source loaded single-ended amplifier is theoretically 25% efficient. Good luck with that. The 12.5% figure only obtains with perfect output devices and constant-current sources, neither of which actually exist, the triode being the further of the two from being ideal. No, with the 500mA idle current, the maximum output equals 0.5² x Rload/2, or 1W with an 8-ohm loudspeaker. Yes, this translates into 1/60 or 1.67% efficiency, which is actually still too high, as it fails to include the power wasted in making the heater hot. Since we can expect no voltage swings greater than 4Vpk, we can use a smaller voltage drop across the constant-current source, as shown below. The constant-current source will entail some voltage overhead, so the -12V power-supply rail can easily cover it and provide a heater power source for the 6C33. Speaking of the constant-current source, it is so easy to just plop an electronic symbol for one down. Actually making one takes more work. Here is one possible example. As it stands, this power cathode follower will require a huge drive signal and it will not deliver a low output impedance. The answer, alas, is found in negative feedback, lots of it. If 1Vpk of input signal must drive the power buffer to full output of 500mA peak, then the final transconductance must equal 0.5/1 of transconductance, or 500mA/V. The 6C33 only offers at most 50mA/V. Thus, we will need at least (10 x 1V) + 4V of drive signal swing to get full output. An Aikido with a 12AX7 input tube develops a gain of about 44, which allows for some negative feedback to be applied. The entire amplifier is configured as an inverting amplifier with a negative feedback loop. If the line-stage amplifier can deliver large output voltage swings, we could decrease the 200k feedback value to 47k. All in all, this might make a sweet-sounding amplifier to listen to with horn speakers. One watt is not a lot of power, not even for a horn speaker. One trick we can use is to configure the output stage for push-pull operation which will effectively quadruple the maximum output power, bringing us to a staggering 4W. This is the somersault topology, which I described back in posts, 171, 281, and 321. To see how it works think about the previous power cathode follower. Note that when the 6C33 pulls the output voltage up to +4Vpk, it must deliver 500mA into the 8-ohm loudspeaker and 500mA into the constant-current source, which is still conducting. In contrast, the four LM337s are configured as constant-current sources only at idle, as once the music plays, their current conduction varies with the output signal. When the 6C33 delivers +1A peak into the loudspeaker, the four LM337s are completely turned off; when the output signal swings to -8Vpk, each of the LM337s doubles its idle current flow and the 6C33 turns off. In both the single-ended and the somersault push-pull topology, the 6C33 undergoes the exact same current swings, but in the latter case it is helped by the LM337s, not dragged down. Although we have achieved a fourfold increase in output power, the output impedance is still crazy high. Once again, the solution is found in appling lots of negative feedback. This time let's use an Aikido cascade circuit for the frontend. All the part values were carefully chosen to deliver the best PSRR at the output. Replacing any of the 6DJ8's plate resistors with constant-current sources will undo the PSRR enhancement. The output coupling capacitor and the negative feedback loop coupling capacitor are non-polarized capacitors, which are available in 35V and 50V versions. 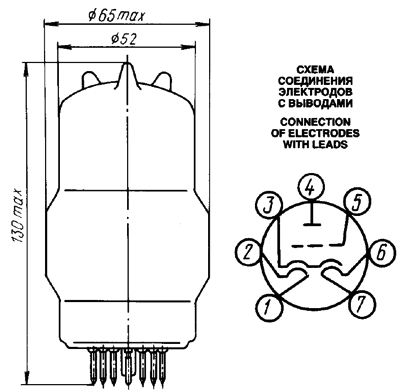 Throughout all the schematics, the 6C33 has seen a 1-ohm plate-stopper resistor. These resistors must be soldered at the tube socket and they help prevent oscillations, to which the 6C33 is famously prone. Here we get serious, as 16W is enough to make some big sounds, even with non-horn loudspeakers. The 6C33 still idles at 500mA, but is aided by an IMC, which stands for Impedance Multiplier Circuit. The previous push-pull somersault circuits employed a nested IMC, which made the 6C33 think that it was driving a 16-ohm load. The following design uses an external IMC to fool the 6C33 into seeing the loudspeaker impedance as being four times greater than it actually is; hence the fourfold increase in output power over the somersault version. Posts 171 and 172 are good places to get an overview of the IMC concept, followed by post 198. The IMC is assumed to be a solid-state design, which explains its relatively low bipolar power-supply rail voltages of +/-22Vdc , which should easily be enough to allow the +/-16Vpk voltage swings required for 16W of output into 8-ohm loads . If we can trust the solid-state power buffer to present a low DC offset, then we can use the following arrangement to eliminate the output coupling capacitor. The Spicy badge of shame was earned due to this design working well in SPICE, but possibly damaging the loudspeaker in reality. In SPICE, triodes do not need a warm-up time; in reality, they do. In contrast, the solid-state constant-current source needs almost no start-up time and it will pull the output negative until the IMC's own internal capacitor charge up and it swings its output to restore 0V at the output or until the 6C33 heats up. In other words, we might a see a -5.5V DC offset at start-up, which makes the coupling capacitor version more attractive. One possible workaround is to use a shunting relay that shorts the output to ground, until the DC offset disappears. Another possibility is to use a compliant constant-current source (CCCS), which is denoted by a dashed line in the following schematic. The compliant constant-current source has two goals: to eliminate a DC offset and to match whatever amount of idle current the 6C33 happens to be conducting. Making a CCCS takes a tad more effort than a conventional constant-current source. Here is one possible example. The OpAmp indirectly monitors the DC offset through the 100k resistor that attaches to the output. Since this resistor terminates into a 0.1µF capacitor, all the audio frequencies above 2Hz get shunted to ground. At the same time, the OpAmp monitors the AC signal at the MOSFET's source, working to see a fixed voltage drop across the 4-ohm resistor. (By the way, I know that they do not make a 4-ohm resistor, but they do make 2-ohm resistors, so two can be placed in series.) Note the +5V power-supply rail voltage. This voltage can be derived from the +22V power-supply rail with a 5V positive voltage regulator. On the other hand, if we have access to some 0.1% 100k resistors, we can try the following variation. Note that the OpAmp's positive power-supply pin attaches to ground in this circuit. Now, some OpAmps will work perfectly well with the same voltage at their inputs as their positive power-supply voltage, but not all will. This variation should work with all OpAmps (well, at least those that are unity-gain stable and can withstand a 22V power-supply voltage). Note how the four matched 100k resistor form two two-resistor voltage dividers, each of which splits the -22V voltage difference in half, i.e. -11V. Thus, the OpAmp performs the same two tasks as before, but it sees half of the negative power-supply rail voltage at its two inputs. The worst-case DC with 0.1% 100k resistors is equal to 2 x 0.1% x 22V/2, which equals about 20mV, all of which assumes that the OpAmp presents no DC offset of its own. In post 415, I made the suggestion that Mr. Gates should stop giving his money to questionable charities, particularly in the developing countries, and build a few big, beautiful things like the Eiffel Tower or build many small wonderful things like many high-tech museums throughout America. In making this recommendation to Bill, I mentioned the African economist, Dambisa Moyo, who has argued that the best thing that can happen to poor African countries is to stop getting foreign aid. Well, a reader, David, wrote to me, pointing out that Bill has read Dr. Moyo's book and thought very little of it. Here is the YouTube link that David provided. Amazing. Pure Gates. What an unalloyed chicken sh*t response, "It depends on your value system." Well, Bill, when does any policy issue not depend on your value system? Do you really believe that you have a superior value system than Dr. Moyo? And just where do we buy one of your improved value systems? I couldn't find one at the Microsoft Store; maybe it's still in beta. Gates claims to have saved children's lives. Perhaps, he has, but the real question is, Would more lives have been saved if Bill and others like him and rich countries had not funded corrupt governments and warlords with gobs of cash that they then stash in their Swiss bank accounts? Now, if the recipients of his largess had actually improved their countries, then the aid would be cut off, which would trouble the Swiss bankers unduly; besides, you cannot buy as much guns and bullets, if you are wasting the money on food and medicine for the poor. Not long after I got David's email, I was listening to a recent Philosophy Bites podcast that interviewed Larry Temkin, who "questions some of Peter Singer's assumptions about the consequences of aid, before discussing wider issues about whom we should help, how, and why." Well worth the five minutes it takes to listen to it. Let's rewind the clock 200 years. You are troubled that only the rich, the accursed top 1%, are getting the benefits of healing bloodletting, which the poor in the countryside have no access to, let alone the money to pay the fees demanded for the treatment. A moral obscenity. You decide to spend millions bringing bloodletting to all the poor people. A year later, gravediggers and undertakers see a huge boon, which saddens you—if only you had more money to give for providing more free bloodletting, as that surely would have saved so many more lives. What to do? An impossibly difficult question to answer. When I was a kid, I was much impressed by my father's direct charity. When he was asked for spare change, he would take the fellow into a restaurant and buy him a meal. I asked why he didn't just give the beggar the money and I was told the obvious: he feared that the beggar would then buy booze or drugs and not food. Well, I tried doing the same as a young man, but no one ever took me up on the offer. Here is a fun example, one day I had emerged from my favorite Italian Deli in Santa Cruz, California (a Mecca for the homeless), and a street person told me that he hadn't eaten in four days and could I give him a dollar. I tried to hand him my still wrapped, hot pastrami sandwich in the bag, which was a thing of beauty and cost $8 (and this was in the 1980s). He told me to "F off," before he moved onto another customer leaving the deli. Actually, I just remembered one homeless person who did take me up on my offer. (My dang leaky memory once again dripping memories.) Back in the late 1970s, I was in college and I made a trip across the bay to San Francisco and a women in her early 30s asked me for spare change to buy food. We were standing close to a breakfast joint and I took her inside and bought her two complete breakfasts; eggs and then pancakes. She ate as if she hadn't eaten in many days and was truly thankful. Why was she so much harder to remember than the clown in Santa Cruz? Odd, but interesting. Last year, a reader sent me this request. 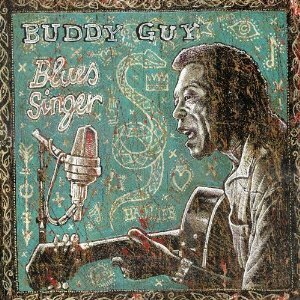 I recently bought Buddy Guy's "Blues Singer" CD that you recommended a while back ago. Love the music and recording is phenomenal. Can I suggest to list your favorite CD's or LP's on TubeCAD site on separate page? Maybe with some comments. Good advice. I have been meaning to take Sergey's advice, but I have been hesitant. Why? Here is an example. Decades ago, I was extolling to my friend, Gary, the then new movie, The Hit, which starred John Hurt and Terence Stamp, which is as good as it gets, in my opinion. What I didn't know was that my other friend, Rene, was listening to my rave review. The next day she told me, "I can't believe you recommended The Hit. It was dreadful. My husband and I hated it." Tidal comes to the rescue. I dearly wish there was a simple way that we listeners could donate directly to the musicians, who usually get screwed by recording companies. Say, I love an album that I hear on Tidal, but I won't buy it, as I can hear it on Tidal. Yet, I would love to leave the artist(s) a tip, as it were. Perhaps Tidal could offer the option of charging subscribers an extra $1 to $20 a month, which the subscriber could then parcel out to those musicians he loved; and at the end of the year, Tidal would cut a check directly to the musicians, bypassing the record labels, the agents, the lawyers... If nothing else, it would make using Tidal more of an interactive experience. Well, half a year ago, I made the huge mistake of listening to about five Diana Krall albums in a row. Well, it is going to be a long time before I listen to any Krall album again. Tidal offers four of her albums, two of them in MQA, which certainly count as audiophile-grade recordings. I noticed that on her Heartland album, she does a cover of Pink Floyd's classic song Money, something I could not imagine working well. I braced myself for an impending train wreck—it was wonderful: tasteful, fun, and beautifully performed. Please do give her albums a try; your soul will thank you. If you have been reading my posts, you know that my lifetime goal is reaching post number one thousand. I have 581 more to go.